I’ve come up with a little philosophy about internet marketing, niche marketing, finding a good niche and making money online. I am sure I’m not the only person to take this approach, but it all stems from Bruce Lee’s philosophy of Jeet Kune Do. Take what works, discard what doesn’t. With this philosophy in mind, take what works, discard what doesn’t, I formulated my own “Style” or philosophy of Blogging and Marketing. Comprised of things that work and get the job done the way that works for me, in the most efficient way possible. I call it Street Fighting for Bloggers. As I am sure you know, Street Fighting is Quick, Down and Dirty. Street Fighting for Bloggers is also Quick, Down and Dirty. It is the most efficient, fastest, easiest way to monetize a blog and start pulling income in within the first month of blogging or putting up a site, that I have found to date. This philosophy I came up with for my own style of Niche Marketing Kung Fu, came from a need of money. I have my own company in which I do I.T. Consulting, and manage small and medium sized businesses. While I watched as my list of clientele slowly started to drop like flies, or were unable to pay me for services already rendered, I also saw my income take a scary downturn. I started seeing a bleak future for my company and my family if I didn’t start to supplement my income somehow. I started out over a year ago selling old computers parts on eBay, for extra cash, there’s a surprising number of people who buy old computer parts on eBay and build computers with them. I supplemented my Christmas spending money with that one year. Then the economy started to take that downturn and people weren’t buying things like they used to. Instead of buying things they wanted, they ONLY bought things they Needed. Need before want, was the message of the day and the stuff I had to sell wasn’t selling anymore. No money for luxuries, only for necessities. I had to figure something out and quick, my annual income was quickly going from 70+K a year down to under 30K, in under one year. I started looking around and while I had a semi lucrative Dating Service I ran for people with a certain medical issue, and thought I knew about making money online, I started to see things that opened my eyes to things I hadn’t thought about before. I came across sites like Problogger, Entreprenuers-Journey with Yaro Starak and Copyblogger. I started to see that I really didn’t know all there was to know about Niche Marketing or even just making some money online. I started reading Problogger, Copyblogger, and Yaro Staraks Blog. 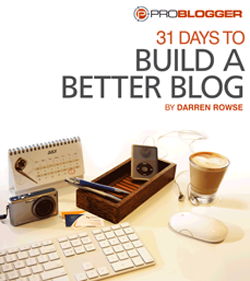 I also bought Darren Rowse’s 31 Days to Build a Better Blog, joined Yaro Staraks Blog Mastermind and joined Niche Profit Classroom and started my education of Online and Niche Marketing. Blogging was cool and looked like it could make a nice lucrative, even “full time” income, Eventually, but that wasn’t fast enough. I needed money to support my family and quicker than the minimum year it sometimes took for a blog to start generating income. Niche Profit Classroom, was interesting, I learned about Niche Marketing and small niches, but the way they taught about websites, to me looked spammy, and in the 3-6 months I tried their method, I made exactly $0.00. I did buy a product I really believe in and that’s Alexis Dawes “Give me Desperate Buyers Only”. With that I was able to make my first Niche Site that actually started making money, 14 days after putting the website up. I’ll talk about that in a few minutes. All of the things I learned about seemed logical, and feasible to make an income, but it just wasn’t fast enough, I needed to be making money asap. This is when I started to do my own experimenting in blogging and niche market design. I had listened to Podcasts on Yaro Staraks blog, and with the info I gleaned from “Give me Desperate Buyers Only“, I created a site to help people get off a certain painkiller. Being someone with experience in this area, I felt I knew enough of how to successfully get off of this painkiller to write an info product that would sell. It sold, and sold and still sells today. People are Desperate to get off of painkillers, especially those addicted to them for a long period of time. Why did this sell? Because it’s something that people are Desperate for. Something that they Need, as well as want, but the Need is much stronger. So they buy it, several times a month, and the money goes straight into my Paypal account. After my initiate success with that first website, I tried doing sites in a manner taught to me by one of the programs I joined, to no avail. After 3-6 months of sites that weren’t making money with that style of site they promoted, I decided to make my own layout based on premium WordPress themes I had. Street Fighting for Bloggers, is a combination/blend of Amazon Affiliate marketing, Banner Ad Marketing, and Google Adsense, all combined with good content, the basis of all good blogs and websites. With this formula you have almost instant income, which will only grow over time, as you keep adding content to the site it draws more and more traffic. As we all know: Traffic=Money. The third month I had a little setback, and I’ll tell you what that setback was in a moment, but just remember this income is from just 3 websites. On the third month, Google started doing what I call the Google Dance. 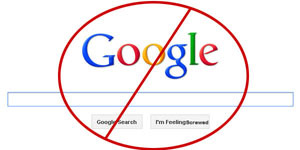 Once you are indexed by Google, you will enjoy a nice period of being at the top on Page One many times, some people refer to this as the Google Honey Moon Period. Google will index new sites and give them a good SERP ranking, being high in the first page usually, sometimes even #1. After a few weeks or a month or two, you will disappear, almost completely. Although you will still be indexed, your site won’t pop up for any search whatsoever, at least not in the first 10,20 or hundred SERPs. People get a little nervous when this happens, thinking they may have been penalized for something they didn’t do. Not to worry. If you have done your homework and picked a good niche, ranked your keywords and use good content, you will return to the high ranks in no time at all. For me it took one site almost a whole month before this happened, on another site it was back up within 2 weeks. Once you are back on top you will start to see the clicks and book sales start to happen again and start to increase with each month, as long as you have a good niche, and are using good content and picked your keywords wisely. In part 2 I will be going over how I pick good niches that will bring in income almost immediately. .-= Julius´s last blog ..VOCAs- Assistive Technology for People with Speech Impairments =-.